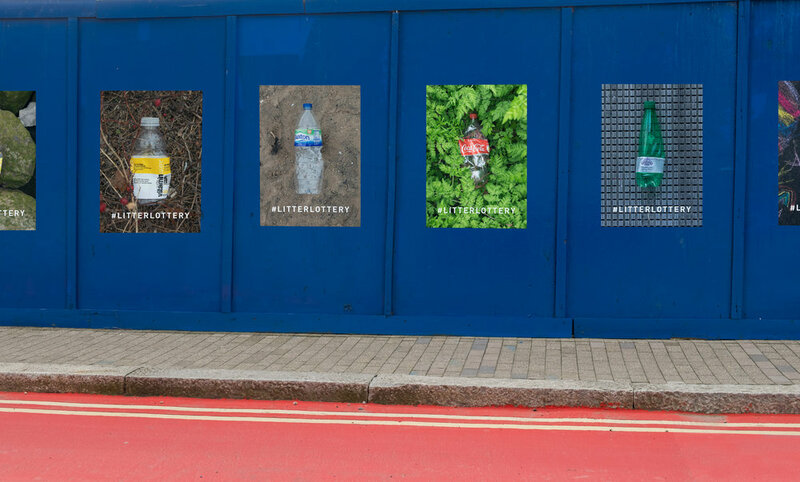 This project encourages the public to change their throwaway attitude towards litter. With a particular focus on plastic bottles, the aim of the project is to reward people who pick up litter. 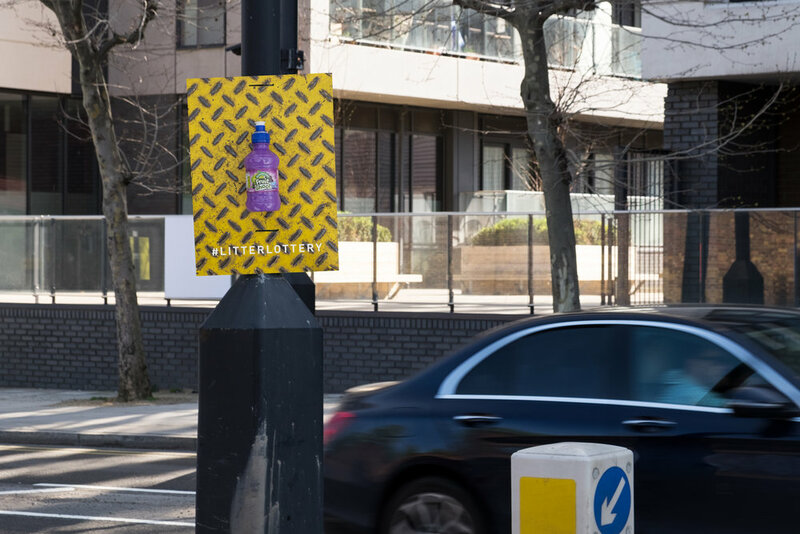 Passers-by can play the litter lottery simply by being aware of the litter around them and picking up a plastic bottle. #litterlottery is an ongoing project where I take thrown away bottles, replace the original wrapper with one that contains a prize and place it back where I found it. Picking up just one discarded plastic bottle could change their day even their year, with prizes—such as return flights to destinations around the world like Sydney, New York, Singapore to a full chicken from Nando’s and lots more—contained on the inside of carefully re-sealed bottle labels. What may look like rubbish can suddenly take on a whole new feeling. Part experiment and part commentary, with this project I want people to look at and even look for plastic bottles as they take on a new value. Anyone who stops to pick up a plastic bottle that’s been thrown away deserves to be rewarded.